The beauty and curb appeal of this wonderfully expanded and sun-filled cape cod will sweep you off your feet the minute you walk in the front door! Flooded with light and offering an abundance of living and entertaining space, this house has so many options to enjoy the beautifully landscaped property (screened porches, patio with loggia, deck and more) The main level offers formal living and dining rooms, full bathroom, a sunroom with adjacent office (or first floor bedroom), and an open and inviting great room/kitchen addition, perfect for entertaining and relaxing at home. The upstairs offers three bedrooms and two baths, including a spacious master suite and bath, large walk-in closet with an additional wall of closets leading to a home office and screened porch. The partially finished basement includes new flooring and loads of storage. 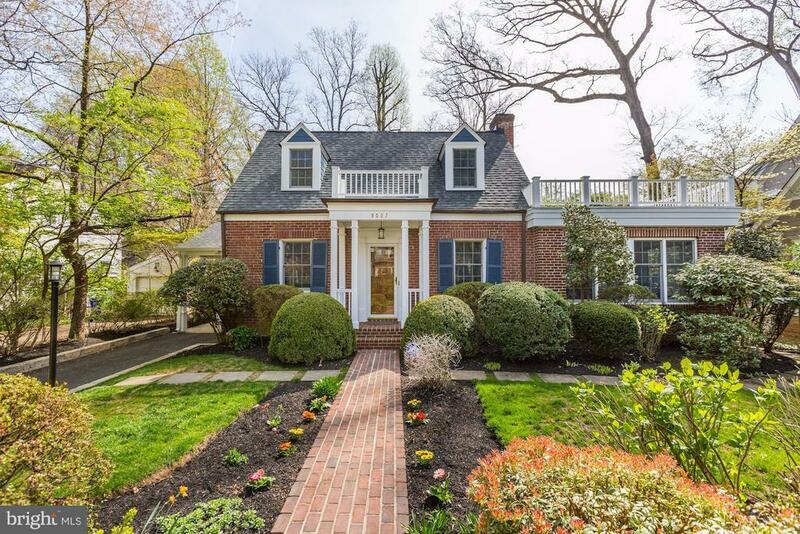 Located on a quiet dead-end street, it is minutes from downtown Bethesda and short distances to two Metros and short walk to NIH. All measurements under features and rooms as well as the floor plans under the documents tab are third party measurements and information is deemed reliable but not guaranteed. Directions: from Wisconsin coming north make a left on to Old Georgetown Road, Take Old Geogetown to just past Suburban Hospital and make a left on to Greentree and then make a right on to Mohawk and the houses the second house before the dead end. From the beltway south on Old Georgetown Road and make a right on Greentree and then a Right on Mohawk.